My darling boy Evren turned 1 year old recently. It still feels so surreal. Just as I was blogging this, Evren walked into the room and gave me a loud shriek - and when I turned around and looked at him, he gave me the brightest of smiles that made me forget everything else in the world. A smile of joy and happiness, inside. These kind of moments happen everyday with him and though life has been quite crazy, just watching him sometimes heals all the pain and wounds for awhile. His very being and existence in my life is also a reminder of God's miraculous powers and how He works in mysterious ways. Evren together with his big brother Elhan and their Abah, my Khubayb are the strongest forces that Allah have blessed me with to continue fighting the constant battles and struggles that I'm going through on a daily basis right now. Oh yes, I mentioned that Evren can walk now. He's still in that slightly unbalanced walking mode but he wants to try and do everything that Elhan wants to do. And he doesn't want to sit still and wants to walk and explore the whole world with his tiny little legs. He also wants to try to talk so much and he blurts out a number of random words. Seeing Elhan and Evren bond, play with each other and communicate are just another one of those blessings. Evren is so lucky to have Elhan as his older brother and Elhan is so blessed to have Evren as his lil brother too. It's a beautiful relationship. But let's be real of course there are moments when they baby fight too, or "rebut" toys too. 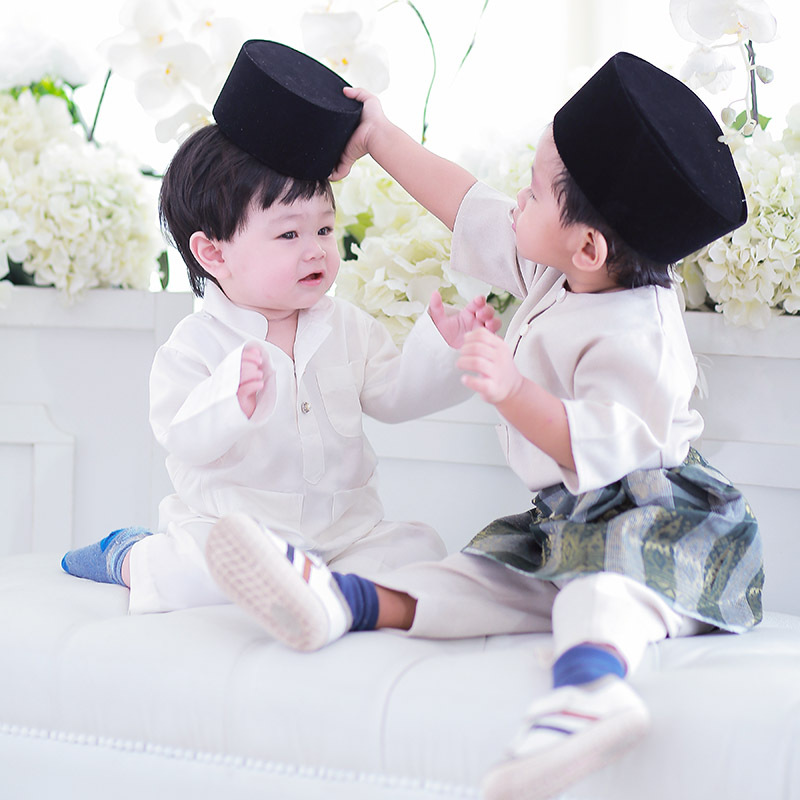 But there are also the sweetest moments when Evren's pacifier falls and Elhan picks it up and puts it back in Evren's mouth or when Elhan shares his food and feeds Evren, or like the one captured in one of the photos here, Elhan trying to fix Evren's songkok (headpiece) coz it kept falling. These are just 'awwww' moments and really, Khubayb and I never get to capture all of the sweet moments either coz our hands are full or we were just to busy just savouring and appreciating the moment in real time without taking out our phone coz we don't want to risk missing that moment. That said, I'm glad at least during this event our photographer friend Faiz managed to capture this moment. It was actually also captured in video but I'll probably share it some other day. All the moments that Evren is alive and healthy is a continuous gift and a blessing. Whatever that I went through before (and right now) has taught me that life is short and I must always be thankful for this borrowed life. Nothing in this world is easy. It is not meant to be. But life is made easier when there is love. Especially the unconditional kind. When Evren came into my life, initially I was so busy with work. During his first 6 months, I had to travel to Singapore, Dubai, London and India for my other commitments and obligations. After Eid this year, when Khubayb's parents came back from Madinah, we had a small Aqiqah event with some of our closest family and friends especially for Evren, and I wanted to celebrate an advanced birthday for him then, so we did the whole cake cutting ceremony for him just like what we did for Elhan (Elhan's First Birthday). We brought Evren to a baby theme park the weekend before his birthday and on the day itself his school did a birthday party for him and we brought a cake, balloons and cut fruits for him and his friends at the preschool. Evren and Elhan and friends definitely had fun that day and also enjoyed diving into the chocolate indulgence cake right away with their bare tiny hands. It's Elhan's and Evren's first time eating that cake. Some of my family members came to the school party too. That weekend, the family, my parents and siblings brought us all to an outdoor activity at KL Bird Park. I was on the wheelchair the whole time but it has to be the best time for Evren and turned out to be one of the happiest day in my life too to see them Evren as well as Elhan so so happy, appreciating nature and the birds. We also sang the birthday song for Evren at the bird park. After that we had lunch at Super Saigon and also sprang a surprise on Aunty Sya and sang an advanced birthday song for her. Moments with Evren is a celebration of life and love. 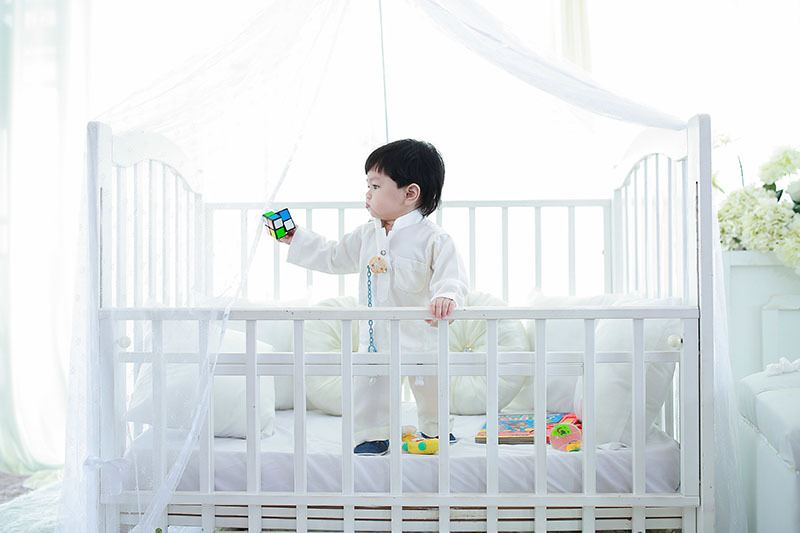 As much as he fills our lives with joy, love and laughter, I want nothing but all that and more for my dearest second son, my lil Prince, Evren. All praises to the Almighty that one year has passed for Evren. All thanks to Him, the Most Merciful, Most Loving, the Creator of all beings, the Ultimate Giver. May you grow to be a good son, blessed with lots of love and contentment, be protected always, and be happy and succesful in this world and the Hereafter. I love you always and forever, sayang Mama, Putra Evren Ilyasa'. My heart beats for them. The ones who light me up even in the darkest moments. ur son is so cute! !